"Your batting is a delight to work with. It's easy on needles, looks and feels like a lovely silk, and moves as I want. 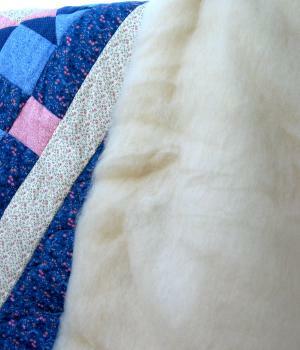 The completed quilt is light weight and quite warm. All this add to the fun! Liz in WV"
These batts are from Romney and Romney cross sheep raised on our farm. 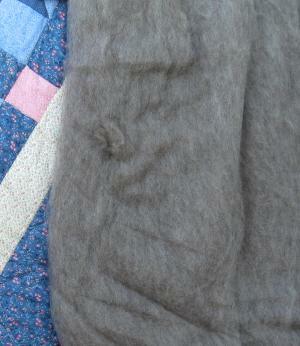 The batts were processed by Zeilinger Wool Processors in Wisconsin USA.